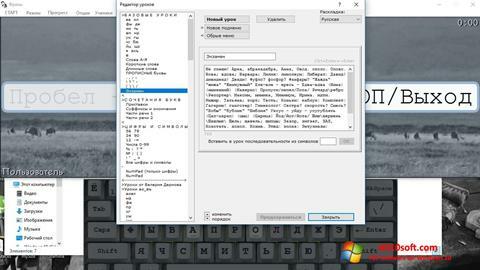 Stamina for Windows 10 - A popular software for learning the method of blind printing. It will help you learn to type the text with ten fingers, while not looking at the keyboard. It will be useful for both beginners and users who have little experience and want to improve their skills. The program has three language layouts: Russian, Ukrainian, English. Thus, everyone can choose a suitable language for themselves and begin to practice. As part of there are many lessons, practical exercises that help to learn more effectively. Performance statistics is maintained, on the basis of which the results table is built. You can free download Stamina official latest version for Windows 10 in English.